Leonardo DiCaprio was born on Nov. 11. Leonardo DiCaprio may be a serious actor by day, but by night, he's watching MTV's "Jersey Shore" on TiVo. "It's a funny show!" Leo told Access Hollywood's Billy Bush at the junket for his latest film, "Shutter Island," on Friday. "You gotta admit it." "Jersey Shore's" DJ Pauly D previously told Access that he recently ran into the Hollywood star, a meeting that Leo confirmed. "They came up and said hello and I shouted some of the lines to them," Leo said. As for Leo's own lines, he said that playing the part of Frank Sinatra in director Martin Scorsese's potential film is still up in the air. "I don't even know if that movie's happening," the star told Billy. "He doesn't need to convince me about anything, usually when that guy calls, before the end of the conversation, you want to have 'Yes' come out of your mouth. Any sort of journey he wants to go on, I'm happy to go with him… [but] the movie's not going as of yet." If he did take on the role of Old Blue Eyes, Scorsese told Billy on Friday that Sinatra's vocals – not an actor's – would be used during the musical performances. But Leo joked he had an interest in testing out his own golden pipes. "I always thought that I had the voice to match," Leo smiled. "Hopefully something happens with it either way — whether I was in it or not, I'd love to see that movie." Audiences can count on seeing Leo and Scorsese teaming up once more on "Shutter Island," due February 19, and the actor said that after four films together, the director's habits have rubbed off on him. "Do you obsess as much as he does?" Billy asked. "I do, definitely," Leo said. "The mantra for me is, pain is temporary, film is forever. So you better give everything you possibly can when you're on set that day or you'll have regrets." 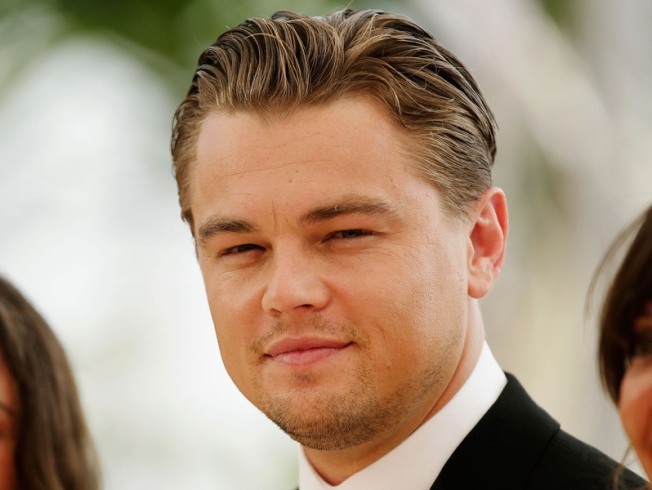 And while Leo has become Scorsese's leading man lately, he added that Robert De Niro – who starred in such Scorsese classics as "Taxi Driver" and "Raging Bull" may join the duo for another movie in development. "There is a project that [Scorsese's] been working on [with De Niro] that I haven't seen much from." Leo said. "I did my first movie ['This Boy's Life'] with Robert De Niro and that's what got me into this wacky world. So I'm indebted to him as an actor. It would be amazing, it really would."